With AsiaD just a little over a month away, Walt Mossberg and I are adding even more speakers to the list, for what we hope will be an awesome event in Hong Kong. Taking place from Oct. 19 to 21, the conference lineup is already impressive, with a mix of speakers from China, Japan, Korea and Taiwan, as well as Silicon Valley and more. The previously announced speakers include: Alibaba’s Jack Ma; Google Android head Andy Rubin; Twitter inventor and product guru, as well as Square co-founder and CEO, Jack Dorsey; Nvidia founder and CEO Jen-Hsun Huang; Asus Chairman Jonney Shih; Sony president and second-in-command Kazuo “Kaz” Hirai; Google+ guru Bradley Horowitz; Hollywood big shot Peter Chernin; Huawei’s North American R&D head John Roese; Microsoft’s Windows Phone head Andy Lees; and a panel of start-up stars — Joyus’ Sukhinder Singh Cassidy, SurveyMonkey’s Dave Goldberg and Airbnb’s Brian Chesky. 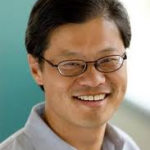 Yahoo co-founder and former CEO Jerry Yang, who will appear with the Internet giant’s Asia head Rose Tsou. For all of the noise around the company these days, Yahoo has a huge footprint in the region, maintains a big e-commerce business there and holds massive stakes in key firms, such as Yahoo Japan and China’s Alibaba. One of Yahoo’s first big investments came from Asian investor Masa Son, in fact, way back when. 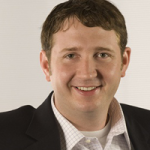 Also on deck is LivingSocial’s CEO and co-founder Tim O’Shaughnessy, who will appear with Daniel Shin, the CEO and co-founder of South Korea’s Ticket Monster, which the daily deals site just bought as part of its aggressive move into Asia. Competing there with its U.S. rival Groupon, as well as a myriad of local social buying services, the market is a tough one. Because of Samsung’s increasing importance as a global player in smartphones and tablets, we thought it was important to have Dr. Won-Pyo Hong. 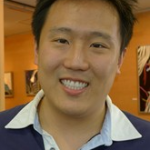 He heads global product strategy for Samsung’s mobile business, which has surged in the past year to make the Korean tech giant a leader in Android-based phones and tablets, and a significant challenger to Apple. 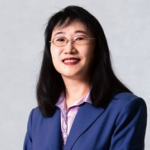 Also key in the mobile arena is Cher Wang, the chairwoman of three Taiwan companies, including HTC, the important and innovative handset and tablet maker which has been a key player in Android’s success story. But just this week she talked about the possibility of HTC buying an operating system, which would further strengthen its hand in the competitive market. That’s it for now, but we will have more big names to come, as well as some pretty cool demos we will be putting onstage at AsiaD. So stay tuned.